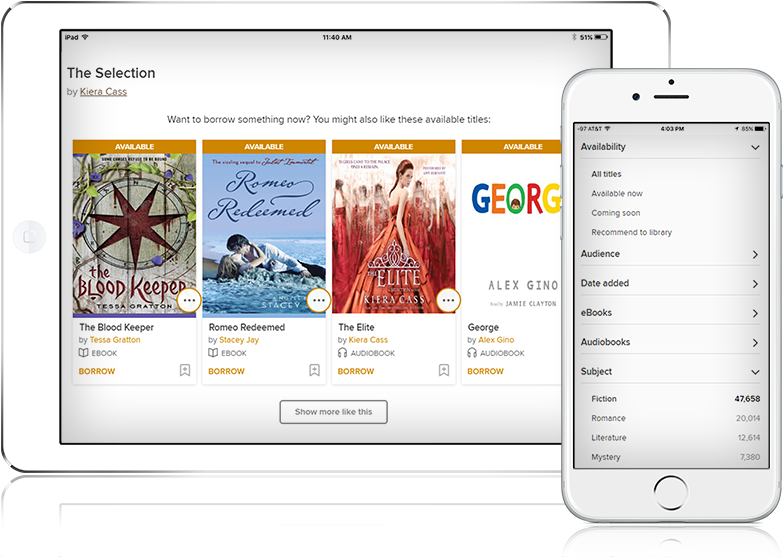 Have you tried OverDrive for eBooks? You are here: Home / Announcements / Have you tried OverDrive for eBooks? Auto-complete search lets you find authors, titles and series more quickly and accurately by intuitively filling out the rest of your search. Recommendations give you suggestions of other titles you may like when you place a hold on an unavailable title. You can discover something new while you wait. Fast, simple user experience has you in mind every step of the way. The new OverDrive has been designed so that you are only one click away from the books you want. You can also read a sample and see similar content before you borrow a book. And we are just getting started. Check out the new OverDrive for yourself and see how easy it is to discover reading happiness from your library.